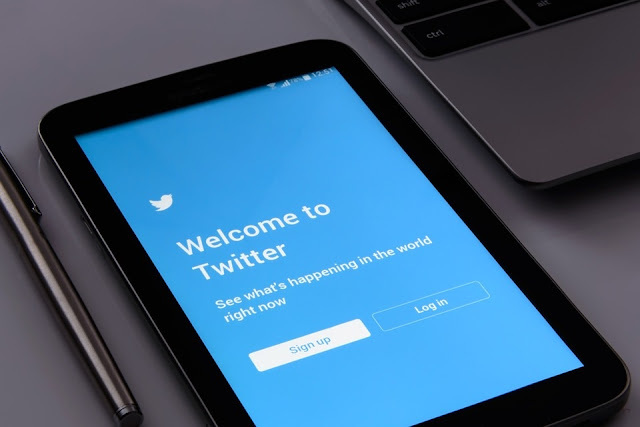 Have you ever imagined why most businesses and brands have an active Twitter account and strive to grow their Twitter followers? Twitter is a very powerful business tool when used correctly. Twitter is more relevant now than ever considering the shift from brand-centric marketing to people-centric marketing. And the good part is that Twitter doesn't just assist you to increase your followers, generate leads and solidify your brand, it ensures that every lead that you generate is interested in your brand. This way you don't go targeting the wrong audience. Not minding this ample opportunity that Twitter offers, many of the Twitter users are still having a tough time on how to best utilize Twitter and increase grow their followers. If you are one of these persons losing nights on growing their Twitter followers without seeing appreciable results, read this piece to the end. And discover how to easily grow your Twitter followers without spending a dime on Ads. There's nothing that turns off your followers as consistently pushing them to buy. It is good to monetize your Twitter handle but this should be done with some sense of maturity. One the main reasons that you are being followed is because they are interested in your tweets and hope to get value reading it. And if that desire is not being gratified, what in the world do you think will make them not to un-follow you? To retain and keep growing your followers, you've got to focus more on adding value to your followers and pitch mildly. Apply the 80/20 rule which states that 20% of your social media content should be about your brand (pitching your brand) while the remaining 80% should be dedicated to adding value to your audience. One sweet thing about adding value is that it positions you as a go-to expert in your niche and wins trust and loyalty. Optimizing your Twitter bio boosts your chances of attracting the right audience and makes all your social media efforts pay off. Some persons would wish to know some things about you before clicking the follow button; and if your bio is not optimized, chances are, that you will lose that person to a competitor. • Your personality: giving your followers a sense of who you are, what you do, what company you work with and where you operate. Ensure your bio complete, professional and does a great job of representing you and your business. This is one of the tactics used by some of the influential persons on Twitter. When you receive notification of someone following you, check their profile and follow back. This way the person will have the feeling of being valued and will always visit your page. But if you don't follow back, the person might probably think you snubbed him/er even when you have no such intentions. Always try as much as you can to reciprocate the gesture of following your followers. Remember, you are not the only person in your niche and some of your followers might also be following other persons in your niche too, any little mistake can make you lose them to your competitors. As you may already know, humans love visuals and this is one of the reasons why Instagram is waxing stronger day in day out. What this means is that you should always spice up your tweet with photos. Hashtags offer you the avenue of reaching out to a larger target audience if used properly. And mind you, you've got to be careful using hashtags to avoid your post looking spammy. Out of the 140 characters available for you to work with, use the hashtags sparingly (2 to 3 hashtags is okay). Always look out for trending hashtags in your niche and include them in your tweet. Follow influencers in your niche and add their hashtags in your tweets. This is another way of growing your Twitter followers. You can drive traffic from your Facebook account by adding your Twitter username in the "About" section. Outside Facebook, you can add you can also drive traffic from your LinkedIn account, marketing email and website. In your website and email marketing, you can use the social media buttons to achieve this while in your LinkedIn you can add your Twitter username to your bio. Twitter is a powerful marketing tool that is worth leveraging. The higher your Twitter followers, the higher your Twitter conversion rate and vice versa. Feel free to add your contribution via the comment section.